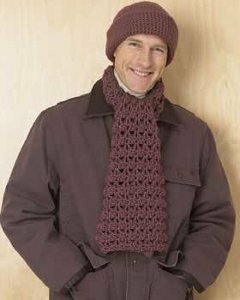 Crocheting a host of garments for your kit and kin is indeed a pleasure, and when it comes to choosing a gift for your dad, husband or sonny, nothing could be more special than giving them a handmade gift. 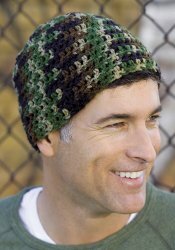 If the menfolk at home have an increased fondness for hats, then a crochet hat would be an apt present for them. 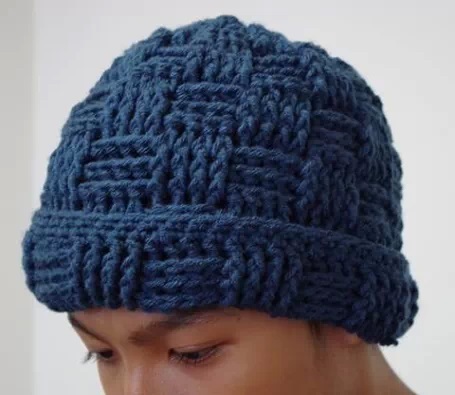 Let us check out the exciting patterns and tutorials to make it. 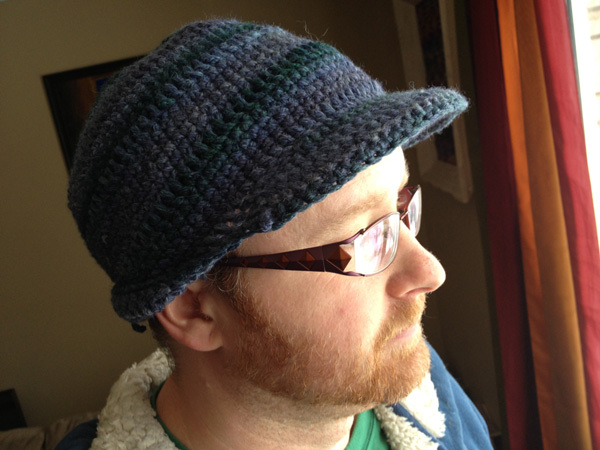 You can make the brim of the hat with a yarn of any contrasting color for an appealing look. The white border surrounding the grey hat makes it look splendid. The round shape with a cute pom pom on top gives this bobble hat a great look. 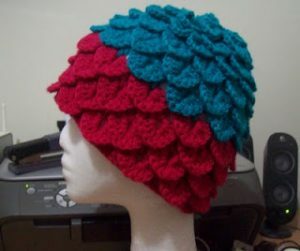 Following the tutorial in the link, you can make an earflap hat as shown in the picture. 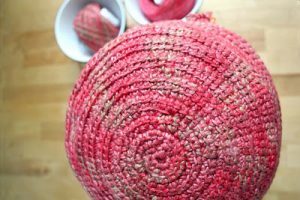 Using two colored wool would give it a unique look. 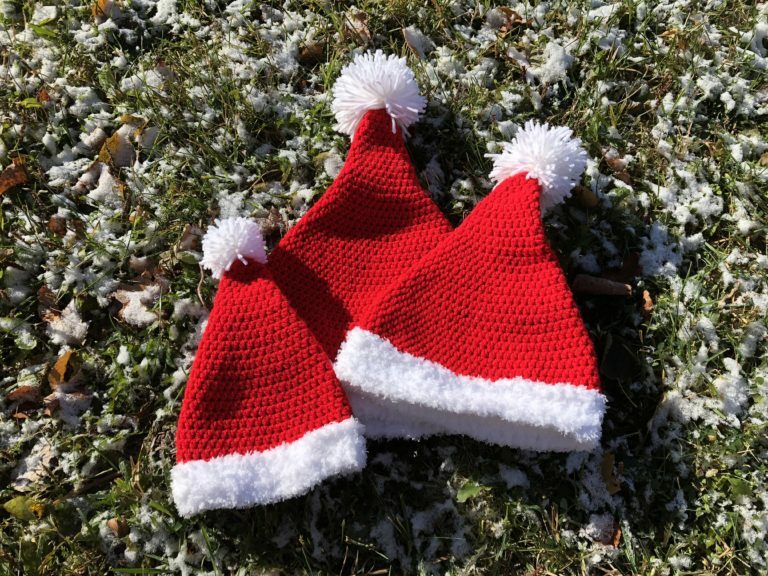 You could also keep the color of the tassel different than the hat, like a white hat with red or green tassle might bring in the Christmas feel. 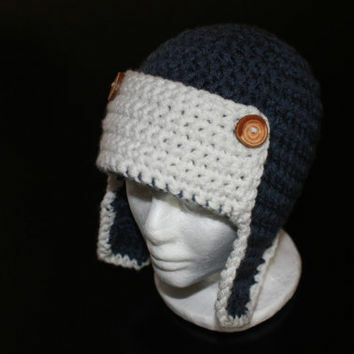 This chunky hat would not just give a smart look but also be warm enough to keep your loved one safe in the chilling winters. 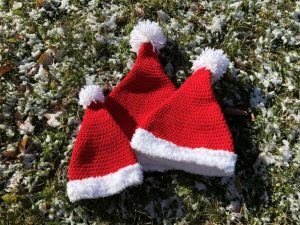 If you plan to surprise your beloved with it for Christmas, then make the hat using red and green wool. If you desire to give the hat a woven pattern, then the cable stitch would be apt for you. To give your hat a slightly ribbed pattern, this DIY pattern is the one that you must follow. If you want a really warm hat, then you need to make it thick enough and use double skeins for this purpose as shown in the video tutorial. 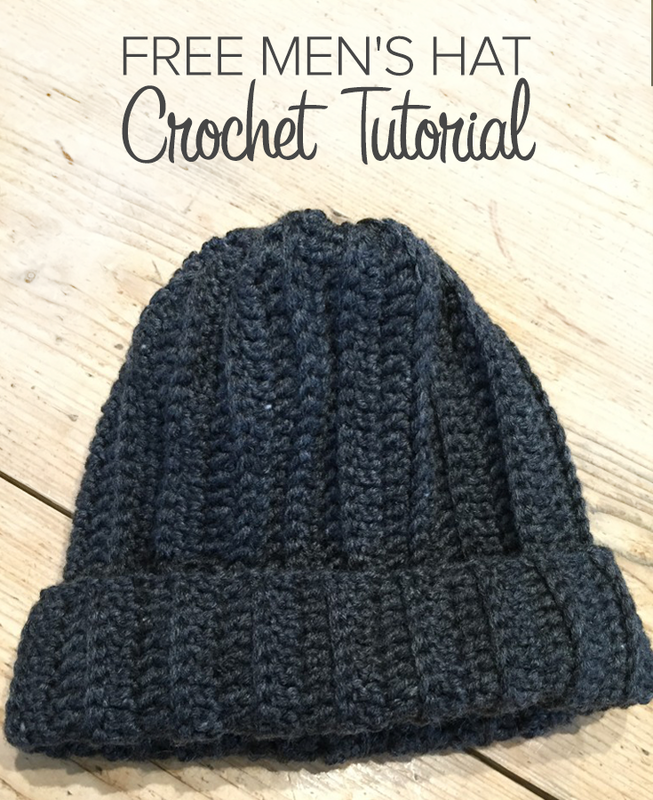 If you also wish to include a finely designed scarf with the hat, then this tutorial would be perfect for you to follow. 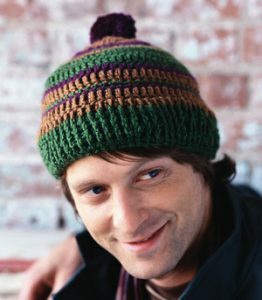 You could even go for a rainbow-colored beanie for which you would need four additional colors of yarn. The bold colors used in making the hat give it a perfect retro look. 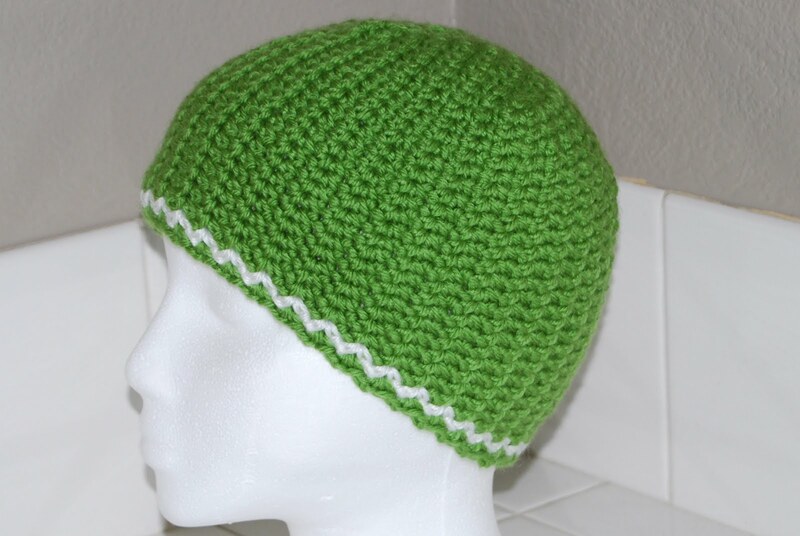 If your man is fond of the army-styled camo pattern, then this design would be an ideal one. 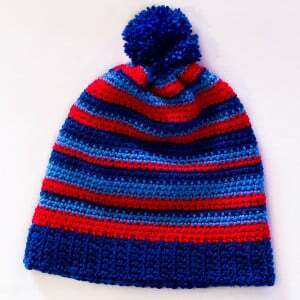 You could also make a pompom with any one of the yarn colors with which you have made the camo design. 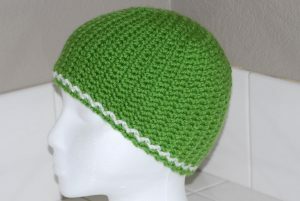 If your hubby is in the aviation service, then a hat of this pattern would be a perfect gift for him. 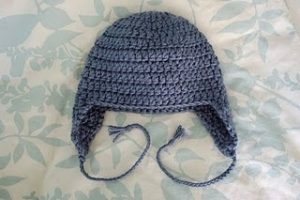 Follow the link, only change the measurements while making the hat for an adult. 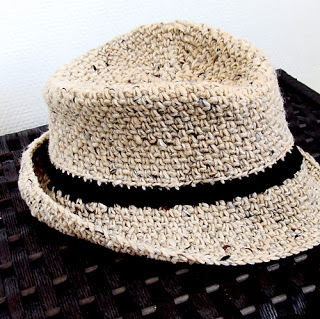 For a men’s hat, you can opt for a bolder shade of yarn. 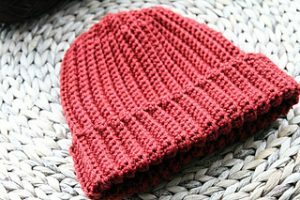 This free pattern would help you to make a Santa hat not just for your DH, but also your DD or DS, as well as for yourself. If you are a pro in crocheting then you can try your hands at the alligator or crocodile stitch for a unique pattern. 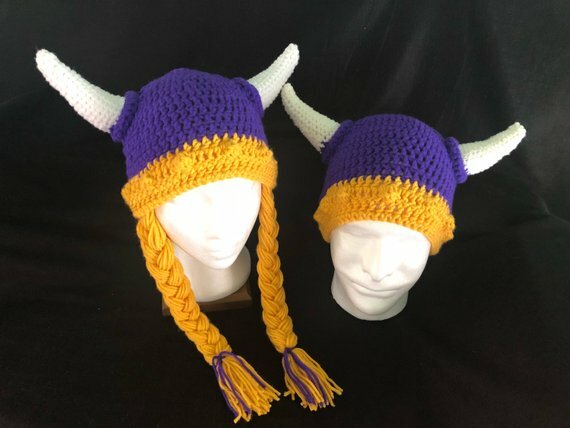 On the occasion of Halloween, a crochet Viking hat and beard would be no less perfect a gift for your man. 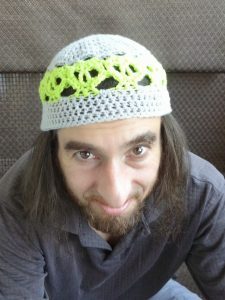 The following tutorial would guide you on how to make a crochet Viking hat like the one shown in the picture. 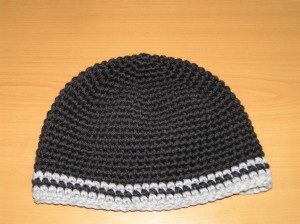 However, you could make a plaited one for yourself too as displayed in the image. 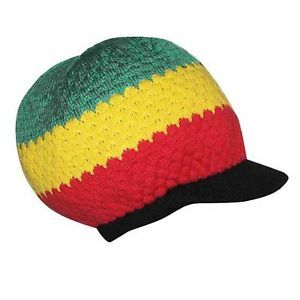 You can follow the instructions in the tutorial mentioned above, the only difference being the red, yellow, black and green colors to maintain the rasta hat tradition. 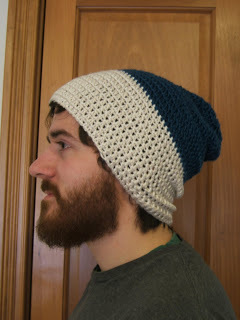 You can just attach strings instead of the plaid if you feel it is looking too feminine. You would need to increase the measurements too as the given tutorial holds good for kids. 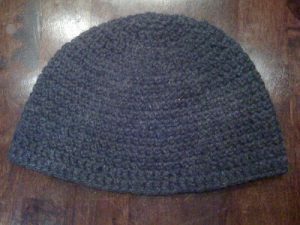 Bigger buttons could replace the smaller ones for a macho look. 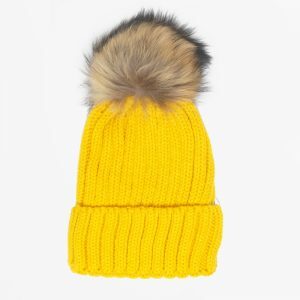 The yellow color of the skull can be replaced with black for a real Halloween effect. 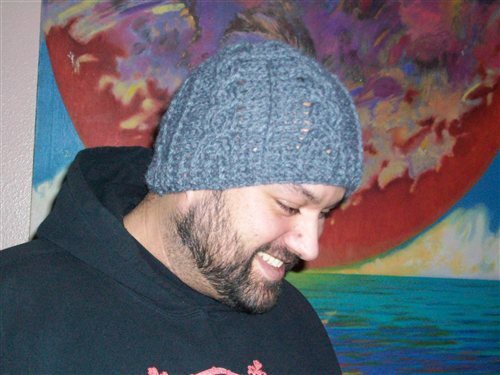 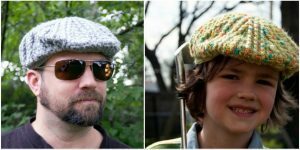 With these brilliant men’s crochet hat patterns in hand, you could get into action and design some amazingly innovative summer or winter hats for your husband, father or any other loved ones.